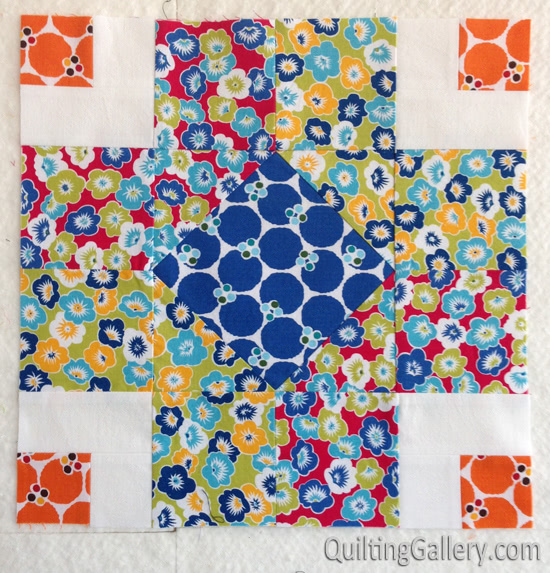 I am thrilled to be the August Aurifil Designer of the Month. When Pat Sloan, our coordinator/ fearless leader, sent out the assignments last year, she said the block we made had to be inspired by someone. I chose to make my block in honour of my Nana. She was my great-grandmother and, sadly, passed away shortly after my 19th birthday. In the photo are my Nana, grandfather (her son) and my sister. I wasn’t able to find any photos with me. I have fond memories of sitting on the floor in her apartment, surrounded by her buttons. I would find matches and hand them up to her and she’d string them together. A couple of years ago, I convinced my mom to give me Nana’s buttons. The yellow tin they once lived in had rusted, so for now they are in a large photo box in my sewing room. Here is the button block I made in her honour. 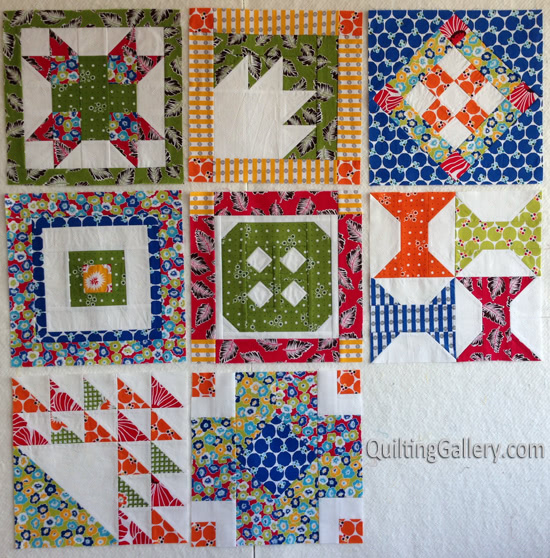 The first one will go in my Aurifil BOM quilt and the blue/red one will be sent to Pat to make into a quilt with all of the other designers’ blocks. 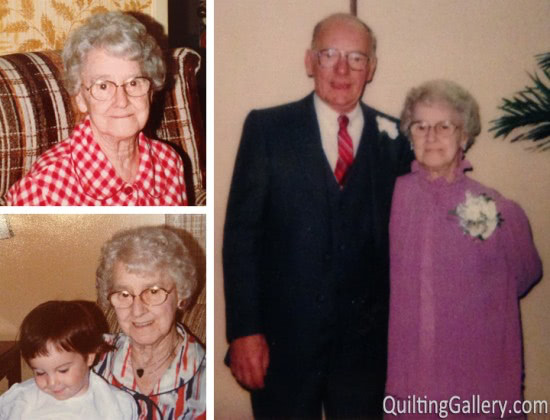 Pat interviewed me for the Aurifil blog. She asked me a series of questions including, my favourite place in my city, photos of my studio, favourite three Aurifil colours and why. Read my full interview here! 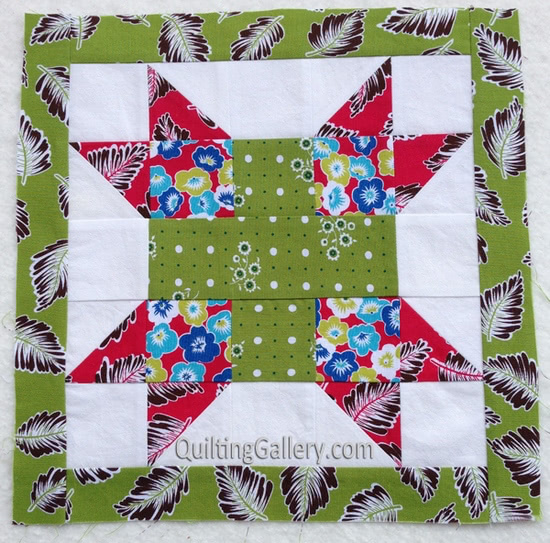 Below the button block on the interview page, you’ll find the link to download my free Button tutorial. Look for the *********’s. Upload your completed block to the Aurifil Flickr page before the end of this month, for a chance to win a gorgeous thread box of Pat Sloan’s Perfect Neutrals (retail value $120). I too have buttons from my mom and mom in law who are now both gone. But have them in old quart jars throughout my house. Love to share them with my great grandchildren. I have some really colorful ones!!! I love your button blocks. 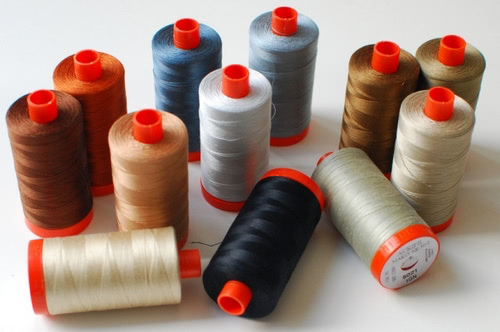 I remember sitting with my aunt’s buttons and sorting out colours. I would play with them every holidays. That is so neat. I have my great grandmother’s buttons also. Mine are in one of her half gallon canning jars. 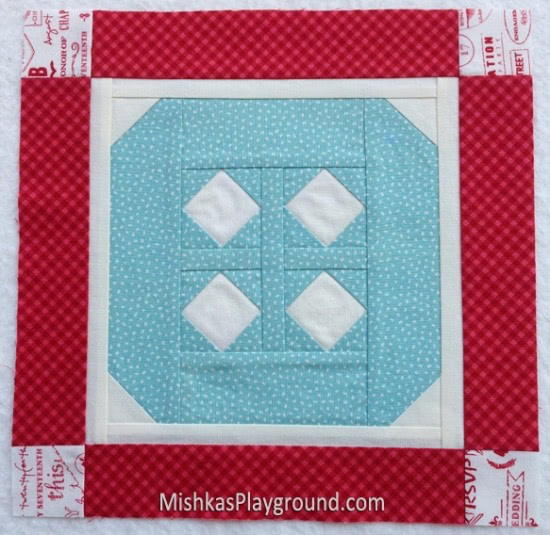 Thanks for a great block this month Michele! I’m using Treasures and Tidbits. It’s an older line, a couple of years old. It will probably be hard to find now. Thanks for your interest.